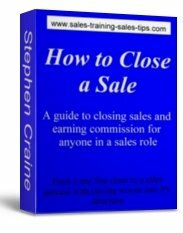 Enter your question into the sales question answer form and give something back while helping others. Remember to enter the title of the question so we know to which question the answer relates. 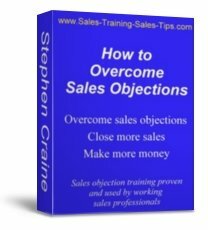 Keep up to date with all the latest sales updates to the Sales-Training-Sales-Tips site. Get the Blog and see the latest updates as they appear. Get the advantage of knowledge and information by regular visits to the Blog. Never used a Blog, neither had I a while ago. Now I write one. It's as easy as email and the best way to kep in touch with all the information you can use to boost your results.